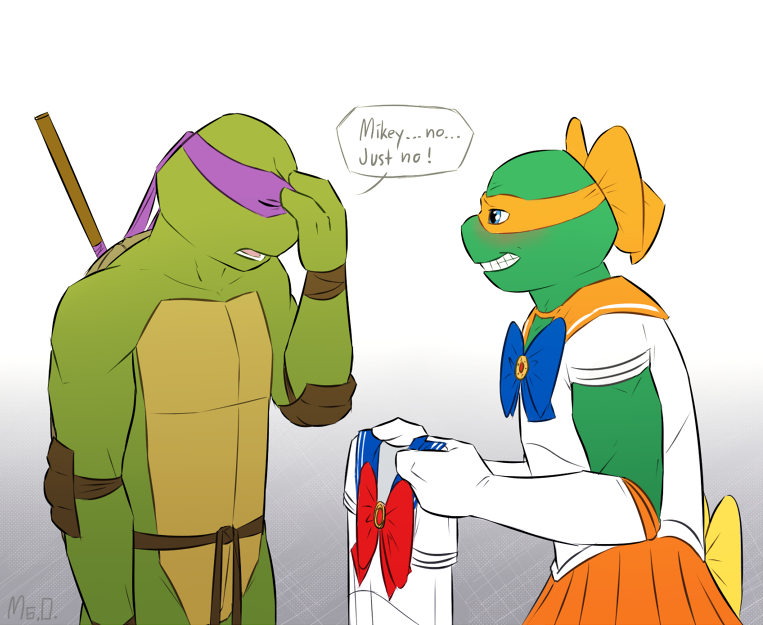 Mikey: "In the Name of the Moon, we will-"
Lol, maybe Donnie would be more willing to be Tuxedo Mask lol! Never running from a real fight! He is the one named Turtle Moon! Donnie is clearly Sailor Mercury and that's that. Duh. Donnie is clearly Sailor Mercury and that's that. Mikey, shame on you! THAT DOESN'T MATCH WITH HIS BANDANNA! awww poor mikey got turned down!